This month (june 2016) the Dutch Gaming Authorities changed their regulations. A few major changes in these regulations are forced by the KSA (The Dutch Gaming Authorities). At the moment online gaming in the Netherlands is illegal but over 2.000.000 people living in the Netherlands are playing or gambling online. A regulation document is already handed to the Dutch Goverment but this is still not approved and till this is proved and activated the KSA is going to focus on casinos that focus on the Netherlands. The Netherlands is a very interesting market for online casinos and most of them want to apply for a license when the regulation bill gets approved by the Dutch goverment. In order to be able to apply for this license the casinos need to follow a few strict rules. Before this month online casinos were not able to advertise on Dutch websites with Dutch banners and Dutch advertisement text. And the websites and customer support couldn’t be in Dutch. Last week ZonCasino changed their name to PlaySunny and Amsterdams Casino changed their name to Slot Planet. Amsterdams Casino is one of the casinos that want to apply for a Dutch license when the regulation Bill is approved. The casino can only apply for this license when they follow the strict rules of the KSA. And therefore they decided to change the name from Amsterdams Casino in to Slot Planet. According to the new rules the casino cannot use the word Amsterdams in the casino name because it is a word that is related to the Netherlands. And words and graphics related to the Netherlands are forbidden because it could suggest that Dutch players can play at those casinos. So from now Amsterdams Casino is called Slot Planet and they do not focus on Dutch players anymore. They will apply for a Dutch license when they are able to do this. In the meantime all players from other countries can keep on playing at the casino and everything (exept the name) stays exactly the same. Slot Planet offers exactly the same casino games and the same bonuses as Amsterdams Casino did. And if you are a regular player of the casino you can keep on playing at exactly the same casino. Only the name has changed, the casino and the back end is still exactly the same. When you never played at Amsterdams Casino or Slot Planet before you can now profit from 4 different bonuses at Slot Planet. New players receive €5 free + 20 free spins on a NetEnt game when they join the casino. 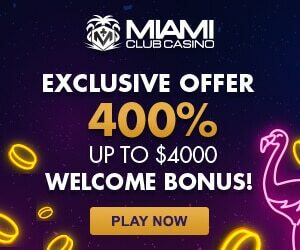 On top of that you also receive 150% bonus and another 100 free spins when you decide to make a first deposit. Read more about the Slot Planet Bonus. Click here to open the new Slot Planet Casino.